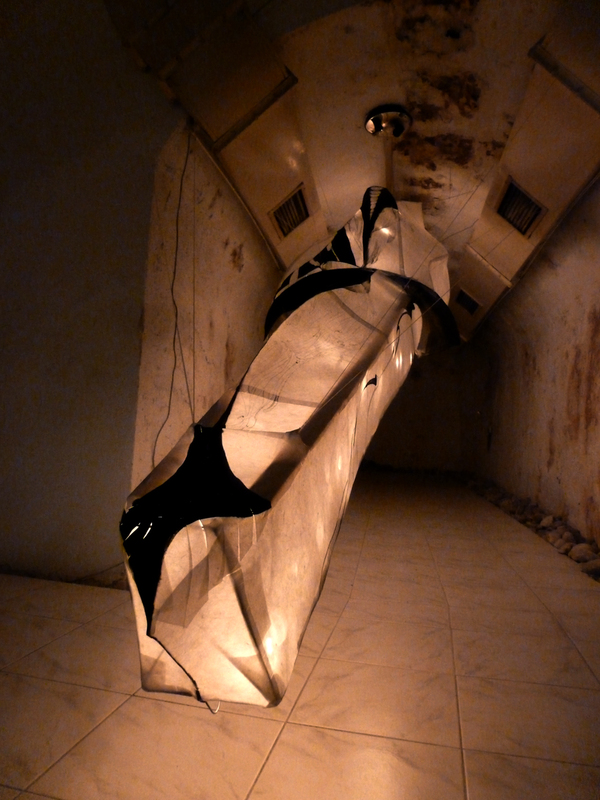 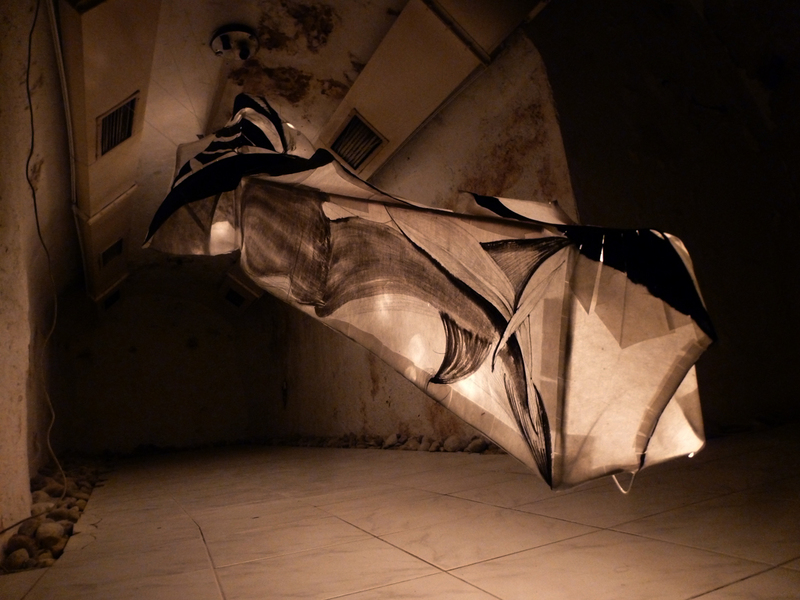 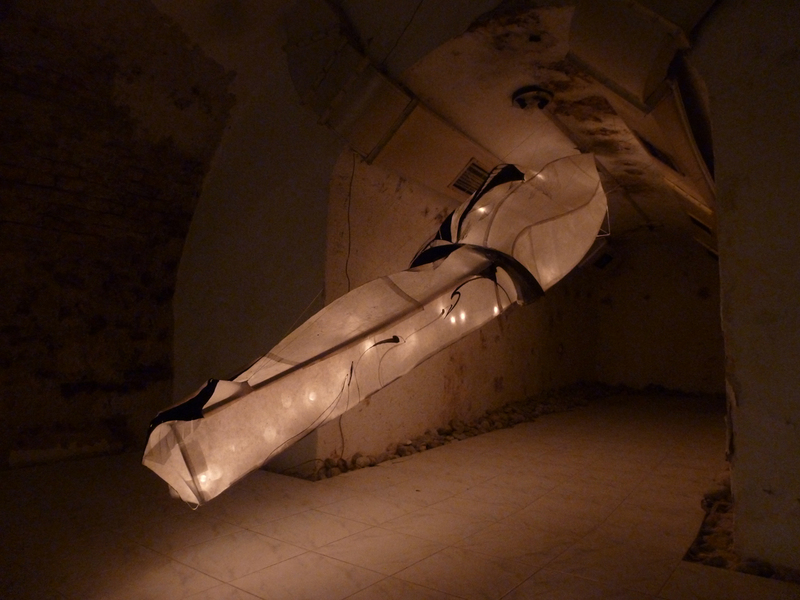 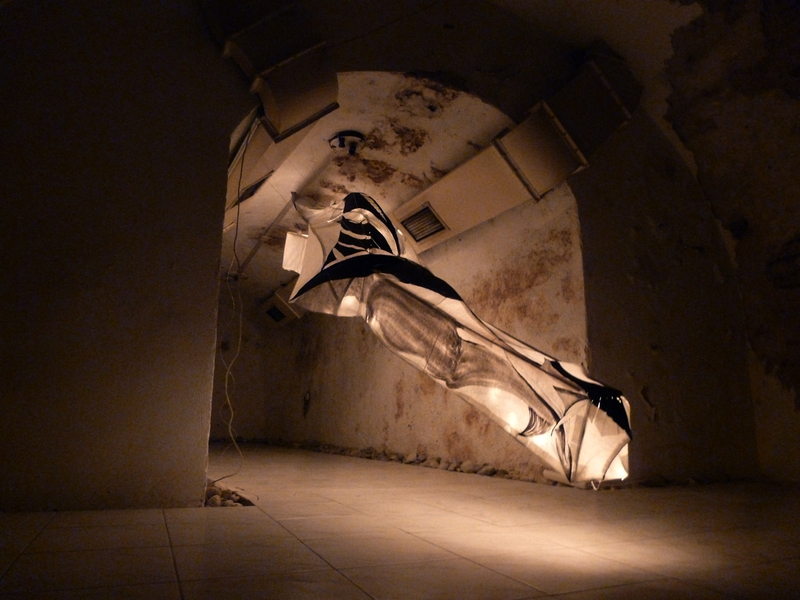 Ji-Yun is the winner of the T-gallery call for entries for the tunnel, where she presents a new in situ installation created specifically for the underground space of our gallery. 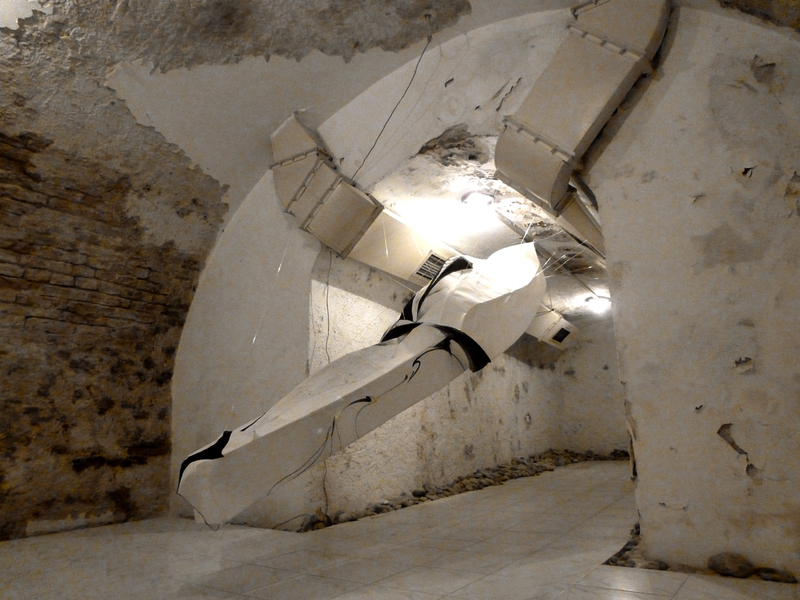 The title 30kg refers to the weight limit that the airline company allowed her to carry in order to mount this project. 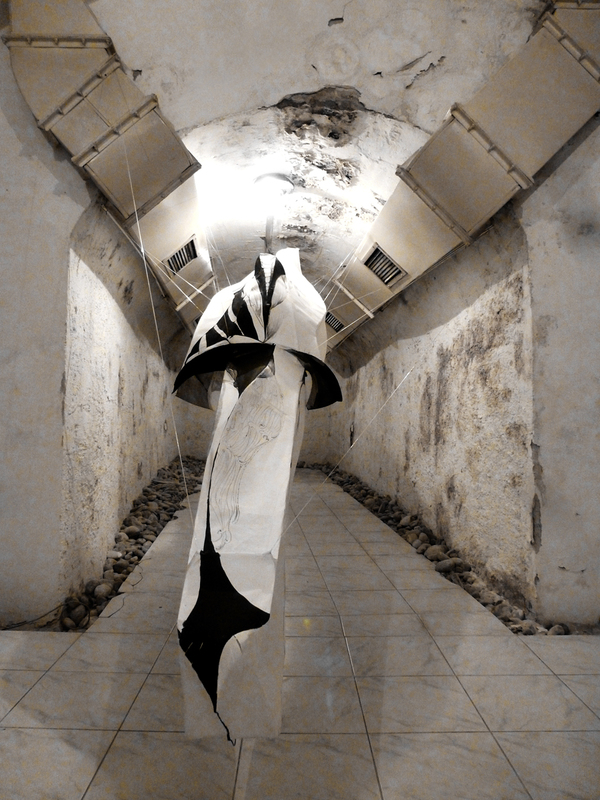 The combination of the installation, drawings and an object add to a new plasticity of her work, at the beginning of witch is the human body. 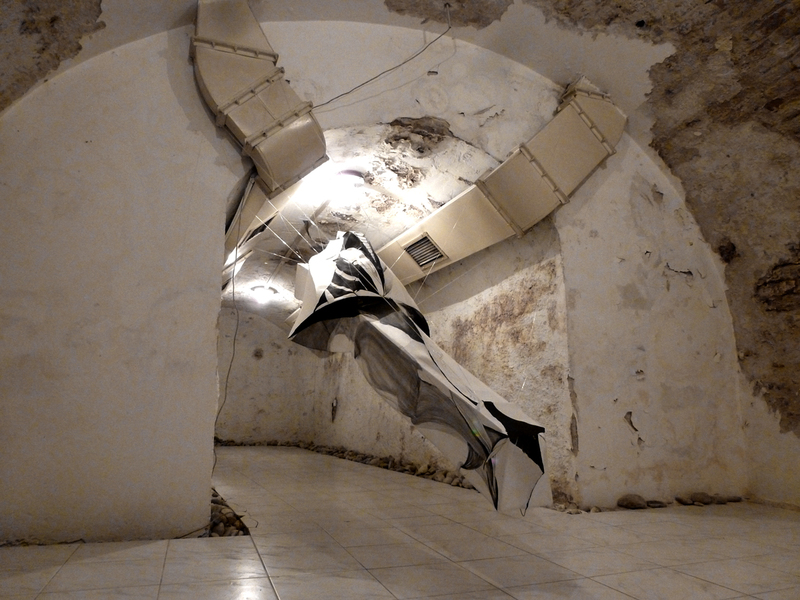 Ji-Yun’s fixation on details of concrete body parts leads to their erasure: the body parts are reorganized into a composition of new abstract forms.